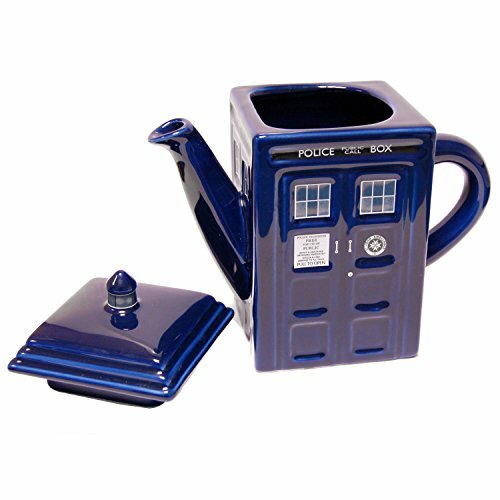 Doctor Who Tardis Teapot - Moar Stuff - You don't need it but you know you want it. 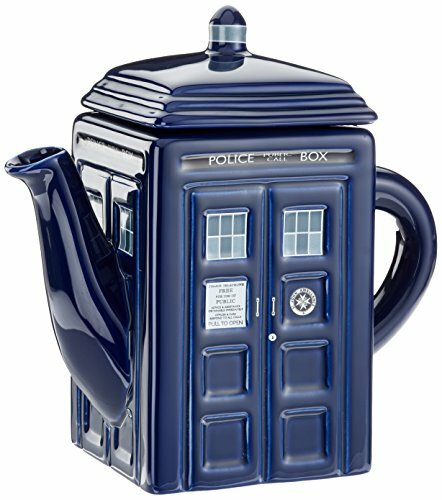 This Doctor Who Tardis Teapot is about the most British thing I’ve seen in a while. Fashioned after Doctor Who’s time/space ship, The Tardis, it looks exactly like an old style blue police box, just bigger on the inside. 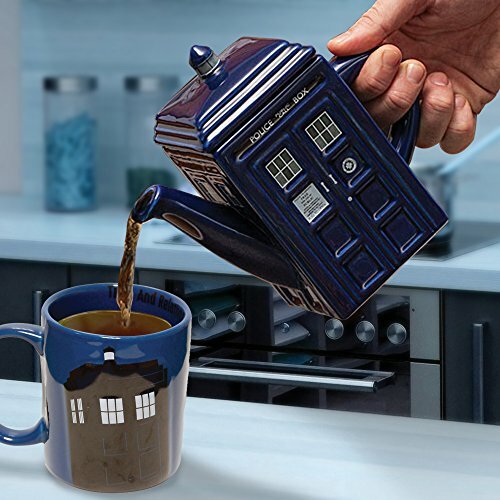 Made to look just like the good Doctor’s ship, the Tardis teapot is labeled with “Police Public Call Box” and “Pull to Open” signs and other details to make it look like the Tardis. It can hold about 25 oz (750 ml) of liquid and features a solid handle, spout and lid for long-lasting use. As the craft of a Time Lord, it was built to stand up to the test of time. The windows and doors are painted and glazed to give to ensure they don’t peel or fade. Made from light china, it makes a wonderful serving or decorative piece for the Doctor Who fan in your life. Product Dimensions 5 x 9 x 8.2 inches (12.7 x 23 x 20.8 cm). Item Weight 2 pounds (907 g). Holds approximately 25 oz (750ml) of liquid. Made on Gallifrey, or China, whichever is closest or still in existence. There are no angels in it but, don’t blink. Just in case.